Forever an advocate of Horse Health I picked up my Top Zop Plaiting Comb when they first launched a few years ago and I have been rather selfish by keeping this secret plaiting weapon to myself for so long - mainly because owning a native means I rarely plait and when I do I am far too busy, stressy...you name it to photograph the process for a blog post! Gee Gee and Me's Dear Santa series feels like the perfect time and place to introduce it to you all, costing £9.95 it makes an ideal stocking filler for the competition King, Queen, Groom in your life and a yard Secret Santa gift someone will actually make use of. The fourth reason is for all of the above being in one place, before I used to struggle juggling a comb, a clip, holding bands in my mouth, I even used to wear a short gardening type apron to store it all and the Top Zop Plaiting Comb eliminates the need for all the above. 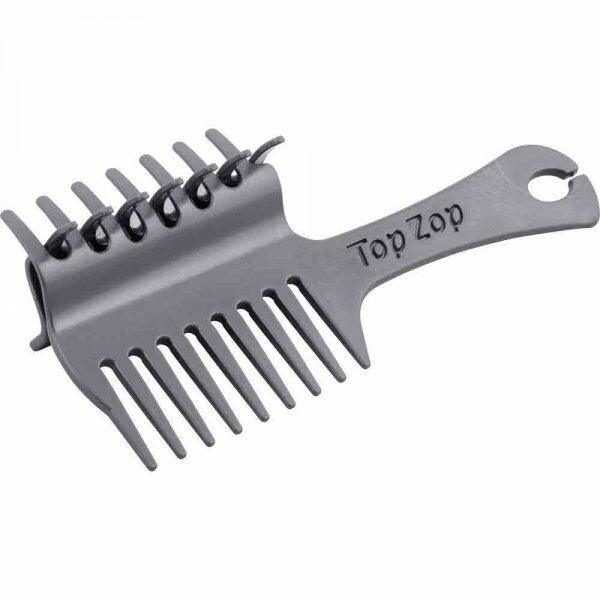 Top Zop Plaiting Comb can be purchased at Horse Health. I hope you have enjoyed reading Gee Gee and Me's five days of Christmas Dear Santa posts and are feeling full of present buying inspiration, Oscar and I wish you all a very happy Christmas and as always, thank you for reading. It wouldn't be Gee Gee and Me if I didn't share a grooming product in my Dear Santa series...and hopefully it's one you're all familiar with as it recently featured in a Keeping Up With The Unicorns post. The Hands On Grooming Gloves from Horse Health at £19.96 - click HERE to read the full review. My original blog post covers all aspects of the Hands On Grooming Gloves and was written over a month ago, they're without a doubt one of my favourite products from 2016 and would be ecstatic to find these in my Christmas stocking from Santa. 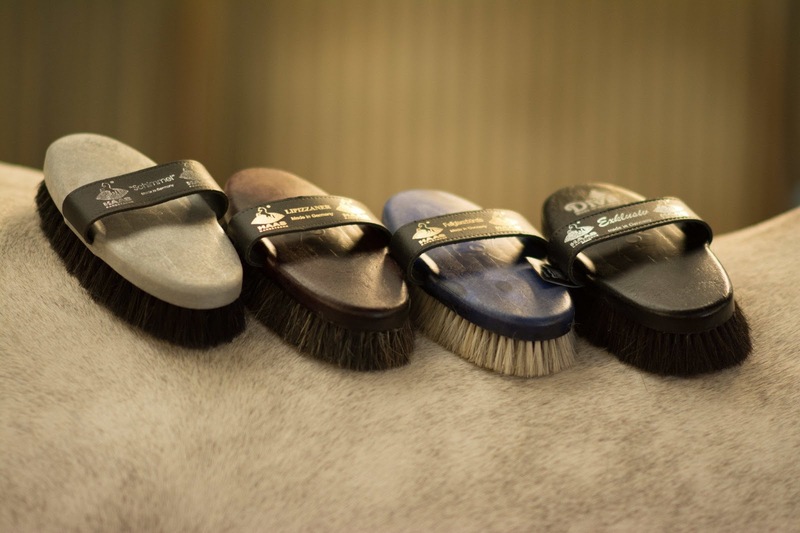 I use them daily to remove mud when Oscar comes in from the field, they're excellent for grooming sensitive areas such as the ears and face and again during weekly bath time, Oscar adores me using them to wash his mane! Noting excites me more than new socks, that cosy, clean, snugly satisfying feeling!! One that I am sure everyone appreciates, not only us equestrians therefore today's stocking filler is also perfect for your support team of parents, partners, grooms, yard owners as a little thank you for their help in 2016! 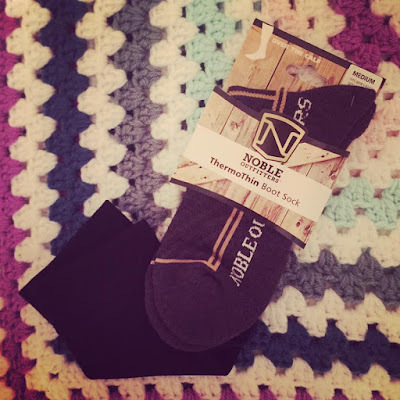 Thermo Thin Boot Socks from Noble Outfitters are for me the ultimate Winter sock, the day they go in the washing machine is a sad one and I desperately need to buy more pairs - at £6.95 my budget can thankfully stretch. They give warmth without bulk which is so so important and maybe this is something you can relate to....imagine a cold Winters day, I pull on my soft shell breeches, then think about my sock choice, the thicker warmer ones will mean I'll struggle to fasten my riding boots because of the extra bulk soft shell breeches give....will this stretch them over Winter because in Summer or at competitions I will go back to thinner socks? Or shall I just have cold feet? Please tell me I am not the only one who has this discussion with themselves? The Thermo Thin Boot Sock eliminates all of the above because the foot to the ankle of the sock is made from Thermolite polyester, adding warmth without bulk or weight, there is added padding to the heel and toe to protect sensitive areas and an arch compression band to avoid the sock shifting, extra helpful when I am in my wellies doing yard chores which is typically when my socks shift. The leg of the sock is ultra thin enabling your leg to slide into any boot whilst your feet are kept nice and toasty, and when I wear my soft shells with these socks, I can zip up my boots without any issues and my feet stay warm, something I think is genius. 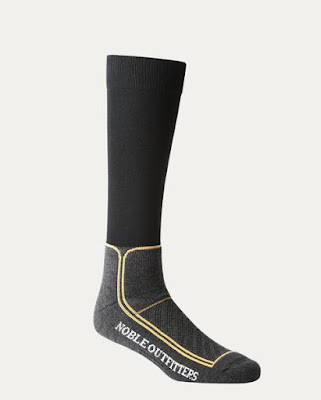 It is often the smallest things in life and the Noble Outfitters Thermo Thin Boot Socks most definitely bring me happiness, some of my nearest and dearest will be opening up a pair on the big day. Today's perfect present idea is a guaranteed to bring a smile to everyone's face...not only is it a perfect stocking filler, it is also a hilarious, tongue in cheek yard Secret Santa gift, because we all know being an equestrian requires a great pair of (brave) pants! 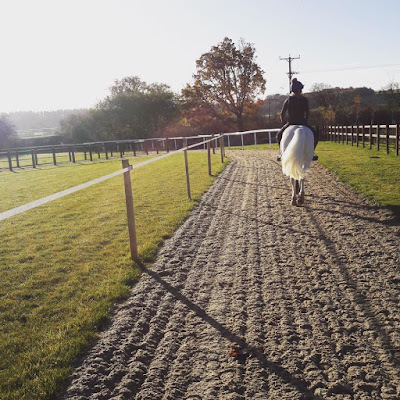 Calm Leisure recently launched 'Equestrian Underwear' a product that has been tried, tested and put through it's paces by professional equestrian athletes, innovatively designed and manufactured here in the U.K. I was super excited to receive my pair! The Equestrian Underwear, pants, knickers...are made from a super soft bamboo material, it's breathable and effective at wicking away moisture. They're designed free from elastic for comfort but this also gives them a seamless appearance when worn under breeches, I was kindly sent a black pair but I have been so impressed will be purchasing a white pair too because they're a must have under light coloured breeches on competition days - no embarrassing VPL's and hopefully they'll bring lots of luck too. 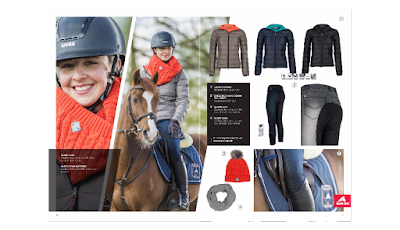 They've washed beautifully and are the ultimate equestrian pant, it's very clear they have been designed by people who understand our sport, thank you Calm Leisure. Purchase for £19.95 from Calm Leisure for guaranteed Christmas giggles. 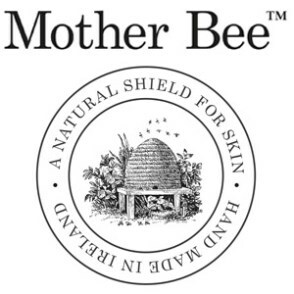 I hadn't realised before Your Horse Live that Mother Bee catered for the beauty (that's me), as well as the beast (the unicorn) and I was instantly drawn to their Yard Hand Rescue, it comes in a mini or maxi resealable pot and the balm pops out. Once massaged between the palms like you would with a bar of soap, it melts into the skin releasing the beautiful scent of the healing oils, leaving hands protected by the beeswax barrier that locks in moisutre, keeping out the cold and damp without being sticky, it's delicious! I purchased two Mini Yard Hand Rescue's one for me and one for Mum, who loves hers too, I feel they're like lip balms and I need one in every place, my handbag, the car, work, yard coat because it is such a beautiful product that my hands love. A LeMieux Thermo Cool Rug from Horse Health, they're described as climate control for horses, are made from a beautiful wool blend and look super smart. They tick so many boxes and would be of use in any horses wardrobe. 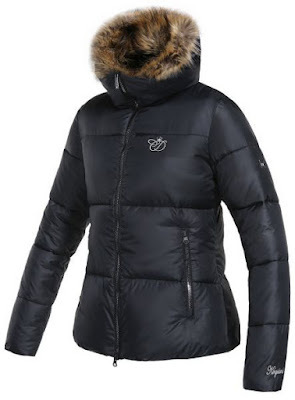 Finally a little something for me because I love being warm! The Kingsland Charlotte Dujardin Cairnes Jacket, it's super padded, showerproof and seriously smart with a flooofy collar! Even if I can tick one item off my wish list this Christmas, I will overwhelmingly happy...it wouldn't be as fun if we could have everything all of the time and I am already grateful for all Oscar and I have. I own the Titan Standard Schooling Air Boots and when rolled out flat they're made of two layers, this allows air to flow freely keeping the temperature constantly cool and the holed fabric wicks sweat away from the skin. Oscar only recently had a chaser clip...I'd planned not to clip at all as we're having a quiet Winter but he started to get hotter than ideal when working so clipping was inevitable, however he has always stayed cool, dry and comfortable under his Titan Schooling Air Boots even when the rest of his body wasn't therefore I have been super impressed by their temperature control promise and The Husk get a big tick from Gee Gee and Me on promise number one. Impact Protection, fortunately the most impact my Titan Schooling Air Boots have seen is 'brushing' and long may it stay that way, however The Husk claim the layers of material create a sponged effect that spreads the force from any impact applied to the body, the material is also rip stop to provide added protection and confidence and for me this means a long lasting product. Light Weight, The Husk range is made from super light material and astonishingly the Exercise Boots are only weight 160g...to make this real a bag of Haribo Starmix weights 160g, YES!!! Now before you ask, I haven't gone a far as to weigh my Titan Schooling Air Boots but I know they feel feather light and that's enough for me. This means when wearing The Husk products we add no unnecessary weight to the horse, particularly important with leg protection to help prevent injury or slipping. Quick Wash/Dry, all products are machine washable and scrub up pretty well with a pressure hose, something I have had to take to the Titan Schooling Air Boots all too frequently, I have hosed at full power both on and off the horse because the gorgeous green grass at our new home has meant dirty back legs - you get the idea. The Husk claim their products dry in 30 minutes and in ideal conditions this may be so, I however found at the yard they took overnight to dry out completely but this still beats any other boot I have in my tack room that would have to be taken home and placed on the radiator or hung out for days on end at the yard. I ordered a Medium Width Titan Schooling Air Boots with No Piping and they cost £96.00 - yes, I did hesitate before I placed the order as it is more than I'd usually pay for boots but these are no ordinary boots and they're work boots, intended to worn more than any other, three to five times a week and fortunately my investment paid off because I love the technology and therefore worth the price tag, so much so I'd love to grow my The Husk collection with some pieces from their white, Pure range. Along with my Titan Schooling Air Boots I also ordered a pair of Over Reach Boots in Medium at £30, these host the same benefits as the boots however when delivered had a Large label and appeared LARGE, I queried this with The Husk who confirmed they now only sell 'one size' Over Reach Boot and this is the fault of their manufacturer but what this does mean is that they don't fit Oscar. Over big Over Reach Boots are dangerous so unfortunately although the technology of the products works for us, the 'one size' Over Reach Boots never will and this is something to be aware of when ordering - see pictures. 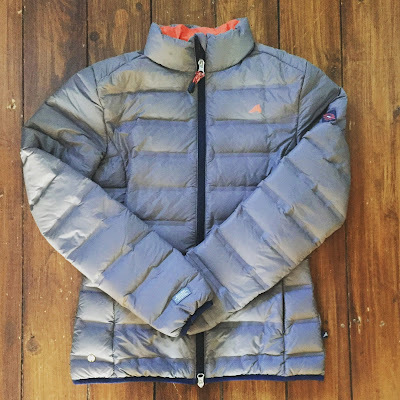 Throwback to January 2015 and I published a wish list that included MacWet gloves, I didn't end up ticking them off the list until twelve months later in early 2016. The weather must have been cold when I purchased my MacWet's because I opted for the Long Cuff Climatec Sports Glove, designed to protect our hands from the elements and whilst well used during the cold, dark months of 2016 they have been lovingly stored away for Summer only making their reappearance in the last couple of weeks as the weather has turned. And it was on a recent trip to the gallops that I felt their worth...I woke up to a beautiful Autumnal morning, the sun was shining, the countryside glittered in the frost, I excitedly hitched up my trailer, Oscar bounced on board and it was only when I turned out the driveway thought...wow, that's some frost and drove extra carefully on the short journey to our destination. I arrived, well prepared in my base layers and soft shell breeches, thankful I had packed my MacWet Long Cuff Climatec Gloves, the superior sizing means they fit like a second skin, the long cuff allows the glove to cover the whole hand and the elasticated cuff snugly closes around the wrist, keeping out any chills. The fabric, Aquatec ensures superb grip and sensitivity combined with Climatec to offer increased warmth and comfort meaning they're wind proof, water resistant and fleece lined. This combination equals warm, toasty hands, whether you're galloping in zero degrees temperatures or into driving rain! The MacWet mission statement of "all grip, no slip" fabulously represents the gloves and I'd now love to try out more styles from the brand. Gee Gee and Me were honored when we recently received an invitation to Haynet's Cream Of The Crop Club, an exclusive membership that will introduce Gee Gee and Me to new equestrian businesses. 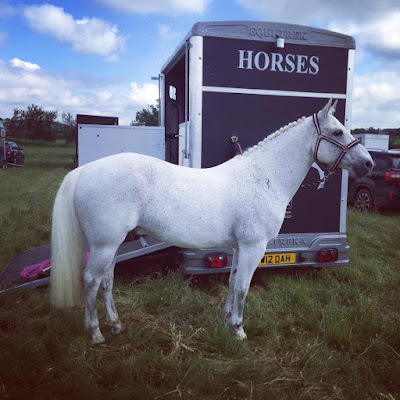 This is an incredibly exciting prospect because I am passionate about discovering new equestrian brands, products and services, putting them through their paces and honestly sharing both mine and Oscar's experiences...even the bad ones! The Cream Of The Crop badge is now proudly displayed on our page and in order to be transparent when we receive an invitation from Haynet to review and write about an equestrian brand, product or service as part of our membership, I will share the badge clearly so you know the source. Yesterday was officially named Monday Plumday, I treated Oscar and I to an indoor arena hire complete with dressage boards, we had an awesome time and it was the first opportunity I'd had to play dress up in our gorgeous new LeMieux ProSport Lustre Dressage Square and Polo Bandages...I think you'll all agree Oscar looks wonderful in plum. Regular readers may remember I reviewed the LeMieux ProSport Dressage Pad on Gee Gee and Me back in September 2015, I featured my lucky white dressage square that I have owned for over three years, it's well washed and a much loved piece of my competition kit and this is the pad that started my collection of LeMieux, plum will be my twelfth pad with almost as many Polo Bandages to match - thankfully, as the saying goes...you can never have too much of a good thing. LeMieux Matchy Matchy has established itself very quickly in a hugely competitive market and the LeMieux ProSport Lustre Dressage Squares and Polo Bandages have become somewhat iconic with their deliciously rich range of colours and strong reputation of having thought of everything. Oscar (purchased for his hardy breed as a pure Connemara) has hugely sensitive skin therefore anything I place him in has to be super soft and the bamboo lining on the LeMieux ProSport Lustre Dressage Square is exceptional, with a feel similar to that of cashmere or silk, they're breathable and cool to wear with natural wicking, deodorization and anti-microbial properties to ward off fungi! Now I've covered the important inner features, lets talk about the fun stuff, the beautiful outer suede fabric that brings the colour to life adding a delicious richness to the plums, blueberries, coral reds and more, plus sensibly reducing any movement of the pad too. The shape of the square is carefully made and designed to fit a multitude of horses, including those of high wither and has elasticated D-Ring tabs to suit both double and mono flap saddles without the need for any tab DIY - hands up who has unpicked the tabs on their pad or cut them down to D-Ring size...I am not the only one! The girth area as always is finished with LeMieux's signature girth protection area, preventing wear and a look of untidiness. And they wash well! I haven't yet washed plum but owning twelve (blushes), they're regularly thrown into the wash and although take a little time to try they come out exquisite, even after numerous washes. The sizes are small/medium and large, Oscar wears large at 15hh, I love the fit on him and I am delighted that LeMieux offer smaller sizes too, nothing cuter than mini-matchy. The LeMieux Polo Bandages are a superior match to the colour of the Lustre Dressage Square - something not all brands successfully achieve - they too are rich in colour and luxurious, made from a high quality fleece. 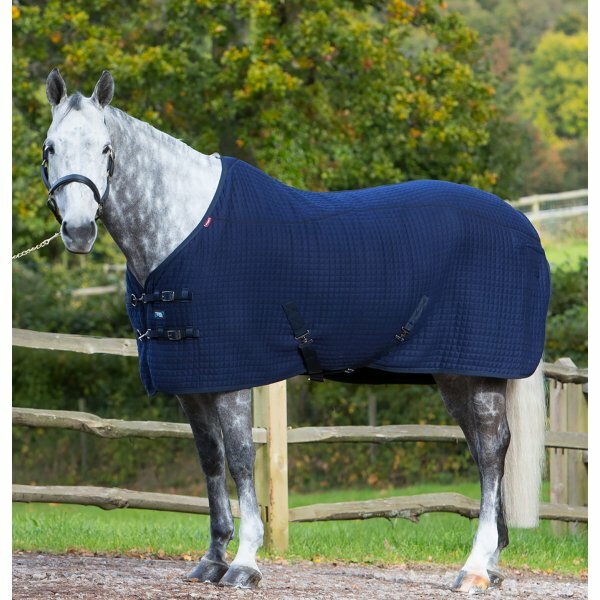 Due to their length of 3.8 metres Oscar doesn't require any further padding underneath - however on a larger horse LeMieux liners can be added. Unfortunately our arena hire excursion coincided with Oscar's move to his Winter grazing paddock...cue luminous running green poo and in the excitement of the new venue managed to spray this down the back of his new plum bandages, meaning they went straight into the wash as soon as we arrive home. They lost zero colour, washed beautifully without stretching or bobbling and look brand new again. I could write all day with superlatives about LeMieux's outstanding range of Matchy Matchy however I think you've gathered I am a tremendous fan. Horse Health must know Oscar and I well because they didn't just include Matchy Matchy in my LeMieux Bloggers parcel....oh no, there was a Hay Tidy Bag to calm my OCD, helping keep my trailer and area tidy whilst away at shows and a grooming product...maybe they're fans of our 'Keeping Up With The Unicorns' series? I was ecstatic to receive the Hands On Grooming Gloves an item already on my 'wish list' and my goodness they're the best thing ever! They feel and fit as well as riding gloves with a velcro wrist tab - I wear a size 7.5 in gloves and medium Hands On Grooming Gloves are a perfect fit - they have rubber scrubbing nodules on the fingers and palms and as any loving parent would I tried them on my own arm first, with the right amount of pressure the sensation felt divine, I couldn't wait to try them on Oscar! The Hands On Grooming Gloves are a revolutionary concept that go far beyond the traditional curry combs, mitts and scrubbers on the market...they can be used wet or dry, will not slip or fall off whilst providing an incredible grooming experience that massage muscles, stimulates circulation and being sold in pairs means both hands can be used simultaneously to groom, especially helpful when using the gloves wet. 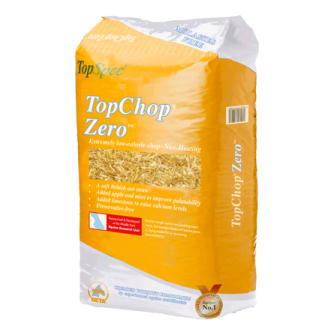 Although not the right time of year, I wish I'd had these in my grooming box at the end of Summer because they'll be an awesome de-shedder, instead they did a super job of bringing out the scurf in Oscar's coat as he is yet to be clipped for Winter. I have used the gloves wet to wash Oscar's mane and tail with hot water, I applied shampoo directly to the gloves, massaged into a luscious lather. They gave him a super clean were easy to dip in and out the water and scrap the soapy suds away using the side of my hand in the glove. The Hands On Grooming Gloves dried well and kept their shape and since have used dry every day, because the rubber nodules are on the fingers as well as the palm I can rub mud away from his ears, face and sensitive areas without Oscar turning into a toddler thinking his mum is trying to wipe his face with a licked tissue...or did I mean girafffe? And finally...they keep my hands and nails pristine, my four weekly Calgel manicure is one of the few luxuries I allow myself and the gloves did a super job of protecting them, my manicurist will be happy. 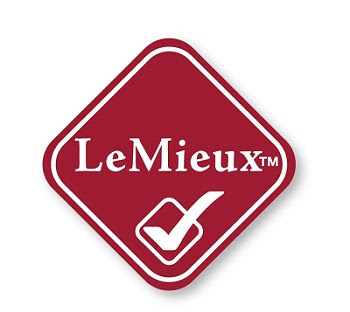 Last month Horse Health called out to all equestrian bloggers as they launched their campaign to find a select few equine obsessed riders in dressage, showjumping, eventing and showing to showcase LeMieux like nobody else. Already advocates of Horse Health and LeMieux, Gee Gee and Me jumped at the wonderful opportunity and from the hundreds of applicants I am super proud to have been shortlisted for an official title - pick me, pick me!! What was in my parcel...?? A dazzling browband is something every pampered pony dreams of and I am excited to share Oscar's latest accessory with you all. A unique browband made of five sparkly rows of diamontes, sky and royal blue with gold from the gorgeous Diamond Horseware, whom Oscar and I are proud to be brand ambassadors for. My Facebook page has touched on this subject more so than my blog as I haven't felt ready, or wanted to write about Oscar's recent lameness...today however our wonderful vet confirmed Oscar is sound both in straight lines and on the lunge and my heart is singing with joy!! Oscar suddenly went lame, only noticeable by a slight nod in trot...abscess, bruise, has he banged or knocked himself, no cuts, heat or scent to indicate why meant a visit to Oakham Veterinary Hospital in Rutland where he was diagnosed with some arthritic changes. 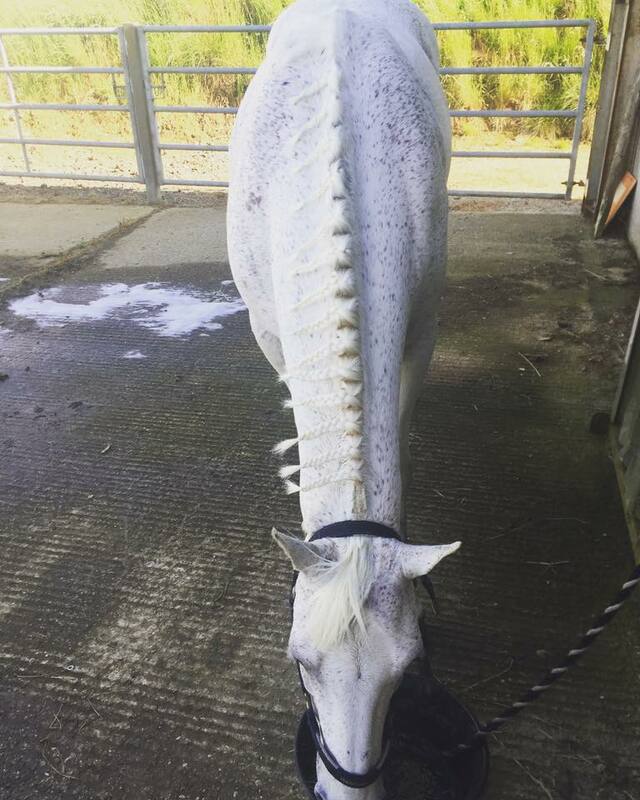 As any devoted horse owner would - alongside following all veterinary advise - I researched and researched and researched to decide what I could invest in that might improve the flair up to reduce the inflammation and ensure he was as comfortable as possible, one of the chosen products was a pair of EQU SteamZ bands. As soon as I clicked 'SHARE' on the first picture of my EQU StreamZ bands I was inundated with enquiries; do they work? what do they do? have they helped Oscar? how have they helped him? and I had to reply with the honest answer "I don't yet know"...that was back in September and now I am happy to share my thoughts after almost 24/7 wear since. Firstly I will cover off why I was drawn to StreamZ Global Technology, it was born from the desire of an inventor seeking a way to reduce his wife's chronic migraine headaches and thereafter discovered the technology could also relieve pain associated with everything from arthritis to multiple sclerosis, improving general wellbeing, creating health benefits such as reduction in inflammation. Thankfully StreamZ Global expanded their range to support horses and dogs in addition to us humans. StreamZ products contain a mixture of natural rubbers and compounds that are unique and differ greatly from the more traditionally used magnetic pulsing devices and hologram ion balancers. 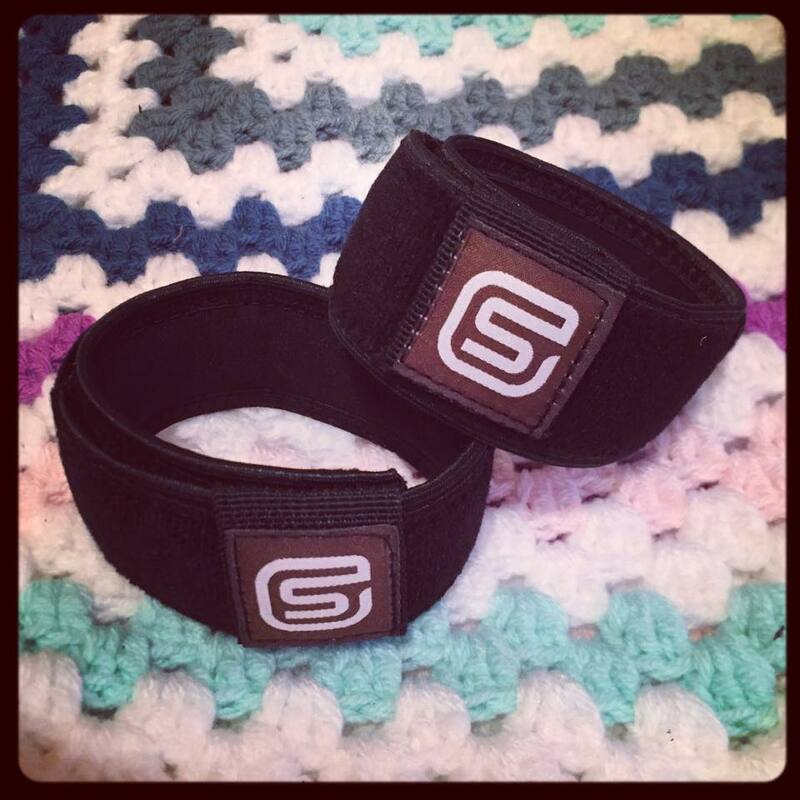 StreamZ bands, although containing a magnetic field do not create a pulsing effect but instead introduce a new technique in magnetic therapy named magnetic resonance technology, instead of pulsing, Steamz spin. 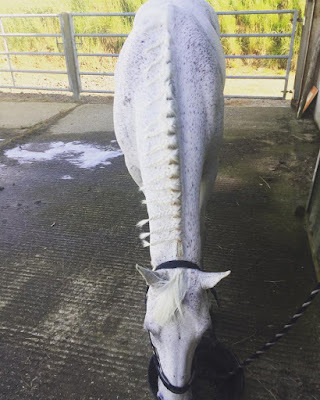 I applied the EQU StreamZ bands soon after Oscar's first veterinary appointment, worn around his pastern, because this is the first arthritic flair up Oscar has ever shown signs of he was medicated with an anti-inflammatory drug and field rest, so his bands were worn 24/7. 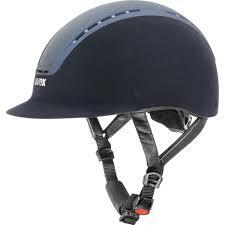 There is a warning for grey horses with some showing sensitivity to the durable neoprene outer band material, I removed the bands and reapplied them twice a day and experienced no skin reactions. Oscar's second veterinary appointment saw the medication of his joint, this meant box rest for at least 48 hours afterwards, an ask for a horses legs when his normal routine is to live out almost 24/7 (unless in Winter months) and his legs remained unfilled and comfortable whereas a slight puffiness would have been normal for him under these circumstances. This time I had placed the bands around his fetlocks to avoid irritating the medicated area and again had no skin sensitivity. Oscar has worn his EQU SteamZ bands 100% throughout his recovery and I've only recently started removing them as his work increases so not to damage them as they're not recommended to be worn during work. Today our vet was elated with Oscar's progress and he is feeling on top of the world, showing me how supple he has remained during his time off by pulling various moves when all I want is for him to trot calmly. I believe EQU StreamZ have aided Oscar's rehabilitation and as arthritis will always be present the bands will be a permanent part of our lifestyle in managing his condition.